Low emission baby monitors are a safer choice if you want to reduce your baby’s exposure to EMFs. My mama bear instincts majorly kicked in once my first child was born. All of a sudden I was responsible for this tiny little baby, and it made me want to keep an eye on him 24/7. Of course that’s not possible – though I probably tried! I couldn’t keep staring at him at all hours of the day, and I couldn’t nap every time he napped. I eventually realized that I needed to get other things done while he naps. I needed some balance. So like many parents, I turned to a baby monitor to be my watchful eyes and ears. But, are baby monitors the safest option? I wasn’t thrilled about using a wireless device so close to my baby. But I needed to do something. When we consider the potential dangers some baby monitors may pose, is it worth the trade-off? When shopping for baby monitors, there’s more to consider than picture and sound quality; I want you to know about the concerning levels of radiation emitted from most baby monitors, and the alternatives available to you. We’ll go over your best options for choosing safer, low emission baby monitors. What Are the Dangers of Using a Baby Monitor? Are There Safe Baby Monitors? But the problem is that most monitors are now using DECT or FHSS technologies that operate on 1.89 or 2.4 GHz frequency bands. This is even being used in most audio baby monitors. And these side effects are likely amplified in a young child whose brain and body are still developing. This is why I feel that the risks of such technologies may be far greater than the benefits of using one of these standard digital baby monitors, and why I strongly suggest that parents choose a low emission baby monitor. Obviously, the safest baby monitors out there are our own eyes and ears. So if you can avoid using a baby monitor altogether, that would be the safest way to go. That’s how our grandparents did it, right? But for many of us today, this is impractical. I know that skipping the baby monitor isn’t an option for me. Low Emission Analog Baby Monitors: (Preferred) Analog monitors typically use the 49 MHZ frequency band, which is much lower than the 1.89-2.4 GHz frequency that digital monitors use. However, analog baby monitors do not offer video; they are audio-only. Low Emission Digital Baby Monitors: There are a few options for digital baby monitors that reduce emissions of electromagnetic frequencies, for example by using voice-activated features. So there are trade-offs you’ll make in terms of features and transmission quality, but I feel it’s worth it so that you can reduce your baby’s exposure to this radiation. Despite the concerns we’ve outlined, baby monitors are still a necessary item for many parents. In order to reduce your baby’s possible radiation exposure while using a baby monitor, it’s better to choose a low emission baby monitor. And try to use it sparingly – only as needed. Take a look at how these low emission baby monitors (both analog and digital) stack up and find the one that best meets your needs. While you won’t be able to see your baby, you will be able to hear when he wakes up from a nap or in the middle of the night. As an analog baby monitor, the First Years Crisp and Clear allows you to pick up sounds from the nursery and gauge your baby’s activity level through the sound level lights on the monitor (which is helpful when you are in a noisy area yourself). The range on this monitor is 600 feet. The Sure Glow monitor is an analog baby monitor (so it operates on 49 MHz) that offers a range of over 600 feet. It comes with two parent (receiver) devices and has a few unique features: it has a nightlight, comes with a pager function to help you locate lost receivers, and offers multiple channel settings to help minimize interference. I have been using this model and have been very happy with it! It works well, and I have experienced minimal interference. Safety 1st also makes the Crystal Clear Audio Monitor, which is similar to the Sure Glow model but without the night light feature. It also offers a slightly lower price-point. I actually prefer the model with the night light because it serves as a visual reminder to turn the monitor off. 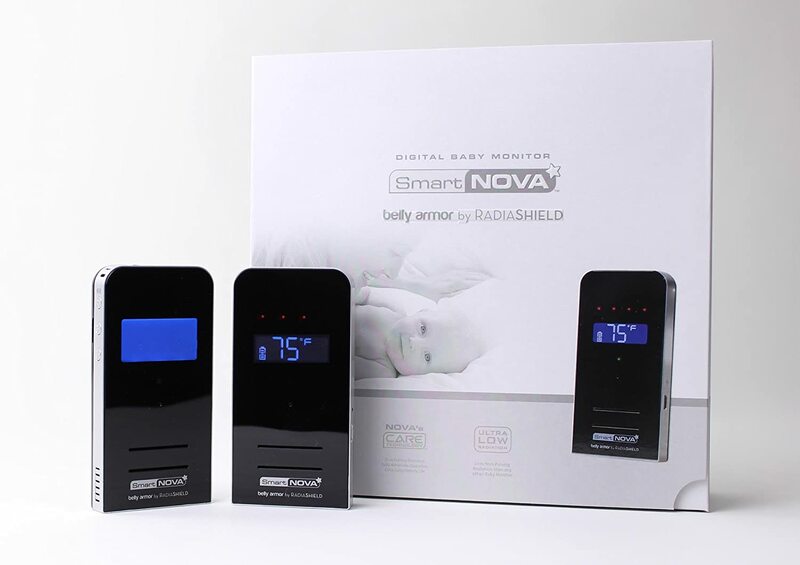 Detect activity in the nursery as well as the temperature with this analog baby monitor. 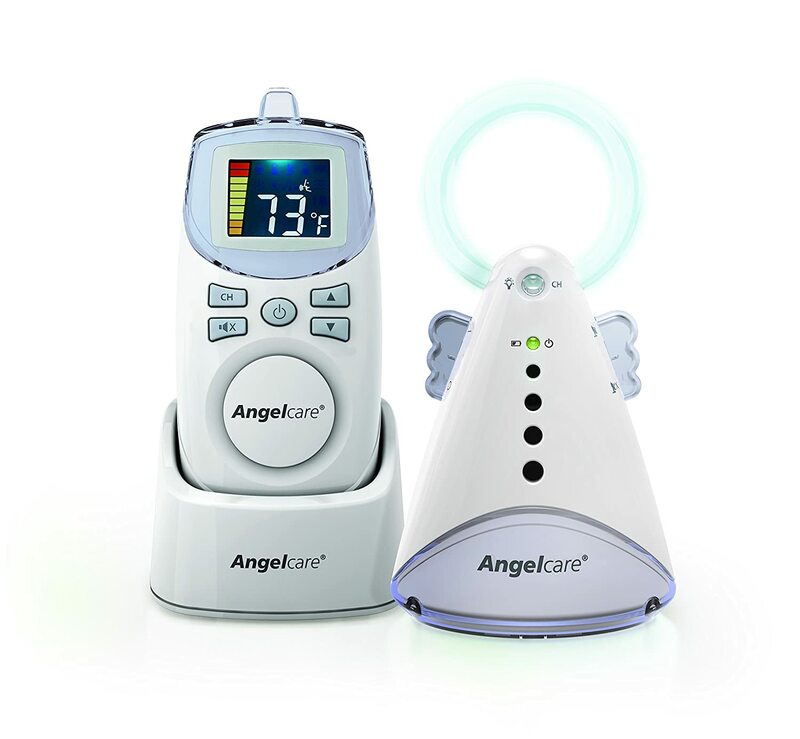 Though it operates on 927 MHz and 2.4 GHz frequencies, the Angelcare Baby Sound Monitor is sound-activated, so it only turns on when your baby makes noise. This brings you the best of both worlds – less static and interference and lower emissions. Brought to you by the same company that makes the Belly Blanket, the Smart NOVA Baby Monitor is an audio-only digital baby monitor that offers reduced emissions. Keeping an ear on baby while lowering the exposure that digital video monitors present is a key feature with this model. It uses new CARE technology, Cordless Anti-Radiation Environment, to get the job done while emitting less radiation than DECT devices. 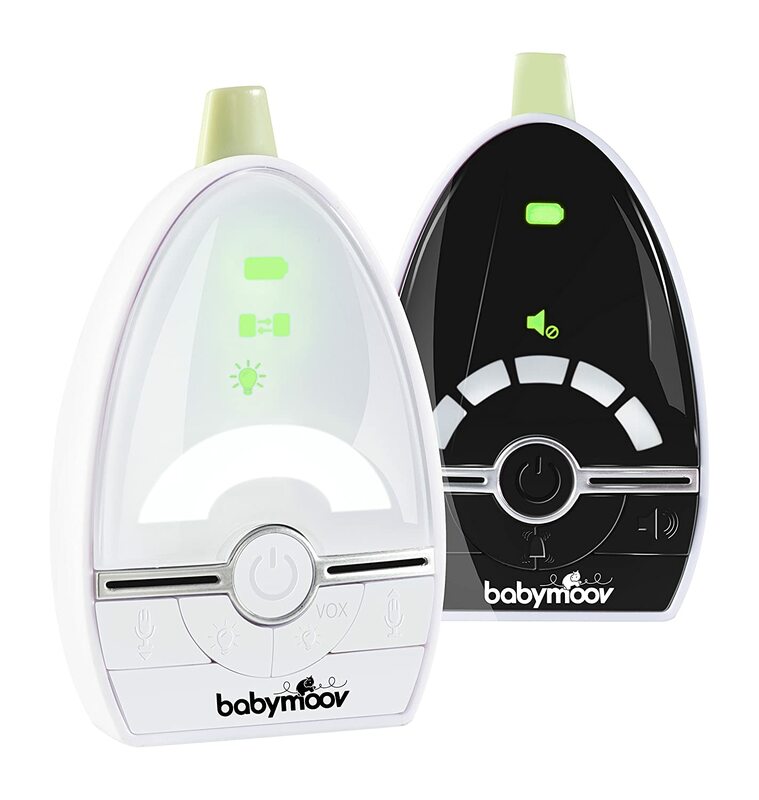 While this low emission baby monitor touts its zero electromagnetic waves and a temperature gauge, users have had several issues with it. Other features include video recording, a motion detector, two-way communication, and a nightlight. I wish this monitor worked better because the concept of zero emissions is great, but I think this monitor tries to do too much and fails. Who said security cameras can’t work as baby monitors too? 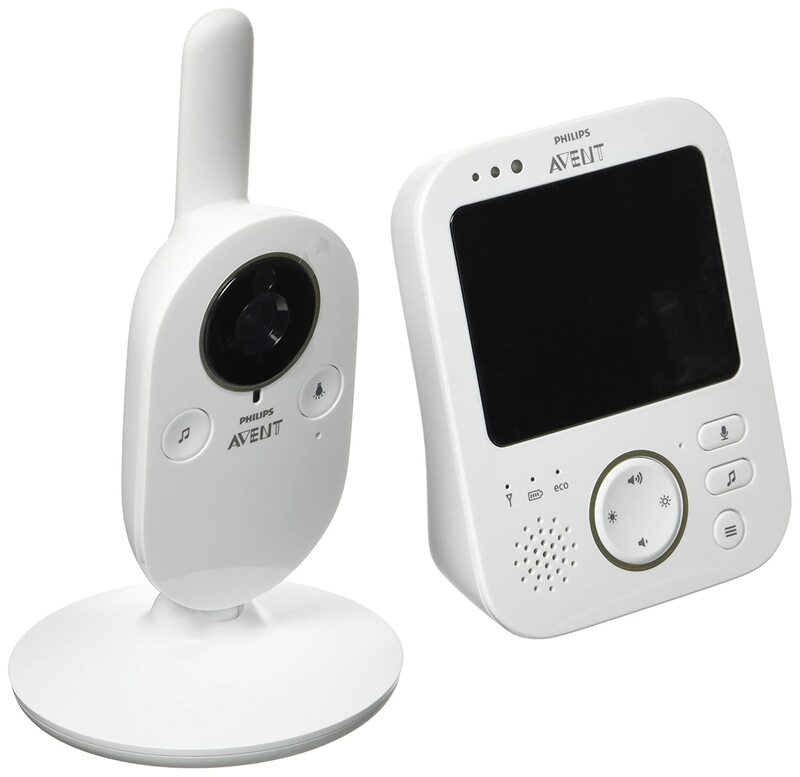 This system gives you the video aspect that analog baby monitors can’t without the harmful effects of DECT technology. When the Nest Cam senses activity you get an alert sent to your phone or email. You can also pay extra to have the company record video for you. Another bonus is that you can turn it on and off remotely, so you don’t need to have it on 24/7, also limiting emissions; this is the main reason I have this on my list. Although this is a digital audio baby monitor, it uses a voice-activated VOX function which cuts down on EMF emissions because it only turns on when your baby is crying. The camera has a 5.5′ floor stand that gives you a clear view of your baby in the crib (with no loose wires to worry about). 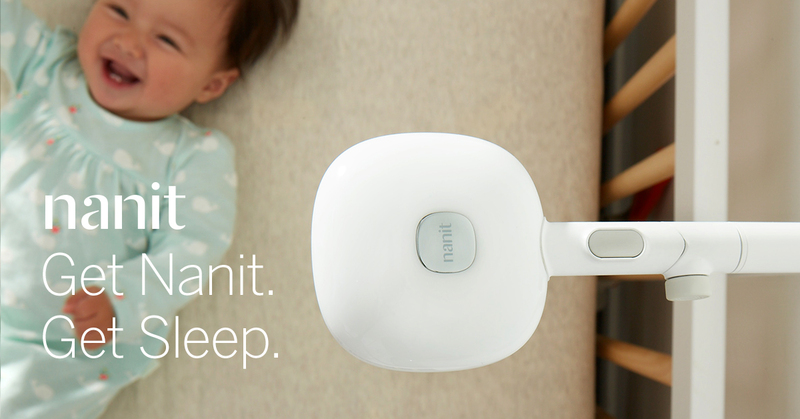 The Nanit app also gives you the option of tracking your baby’s sleep patterns using imaging sensors; you also have the option to receive sleep analytics. Nanit’s camera also measures room temperature and humidity and has a cloud-based recording feature that allows you to capture and store video (for an additional fee). Which baby monitor did you choose? 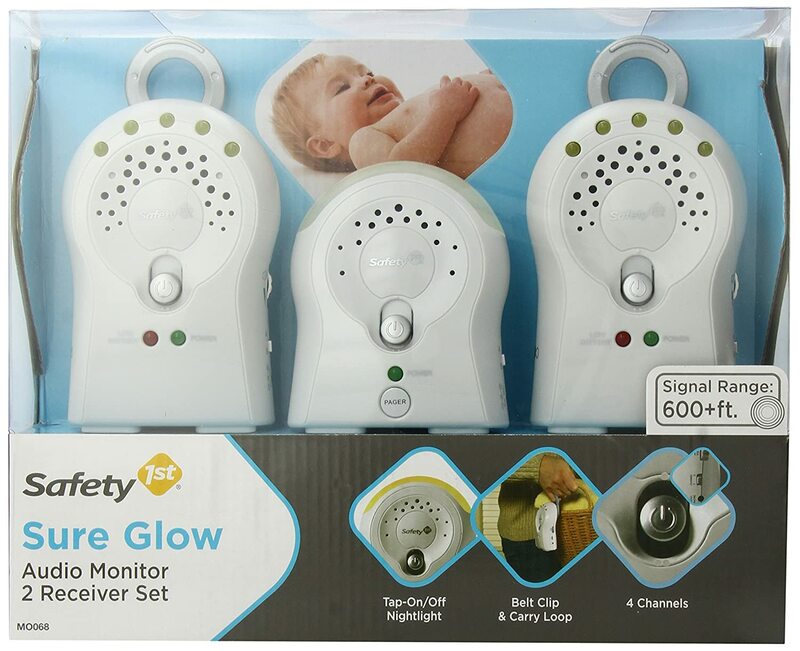 My personal preference is any one of the analog baby monitors such as the Safety 1st Sure Glow Audio Monitor. Hi and thank you! I will look into this and remove it if needed. Thanks ???? Baby monitors are no more harmful than shining a dim light on your baby. The signals they emit are weak and in the non-ionizing (ie they don’t disrupt electrons) region of the spectrum. The World Health Organization (a particularly cautious organization) deemed baby monitors safe, as have other reputable organizations. Hopefully this comment puts some concerned moms at ease. Unfortunately, this article is less about keeping baby safe and more about generating ad revenue. Thanks for your article! I would assume that a sound-activated monitor would always be activated if there was a white noise machine in the room? Or would it only be activated when there are sounds above the white noise? Brilliant question. I don’t know the answer because I haven’t tested this myself. But let me ask around and see what I can find out. I have one of the analog ones you recommended – crystal clear audio monitor. It’s totally fine, but wish it had a talk back function. Do you know of any audio monitors that have a talk back function? Also, eventually for my baby I think I’ll need a video monitor. I was going to get the Philips advent but curious about your thoughts on a readers comment above. Does the monitor in the baby’s room shut off when there’s not sound/movement or just the parent monitor? I really appreciate your article because it’s very hard to find safe monitors. I only found one person who has one and she said her monitor picks up the sound machine even though it’s a few feet away across the room. Are you open to using an audio only monitor? I myself have a clock on the wall just next to the monitor (about half a metre) and the monitor does switch off in a bit. Hi! Great blog!!! We have Nest cams we were using before we read that the WiFi signal is very harmful for babies. I’m not clear on why this is recommend on your list? While it only notifies you when there is action in the room, it is still constantly streaming the whole time it is plugged in. Please advise:) Thanks so much for your help! Hi Tracy, thanks for reading my site! 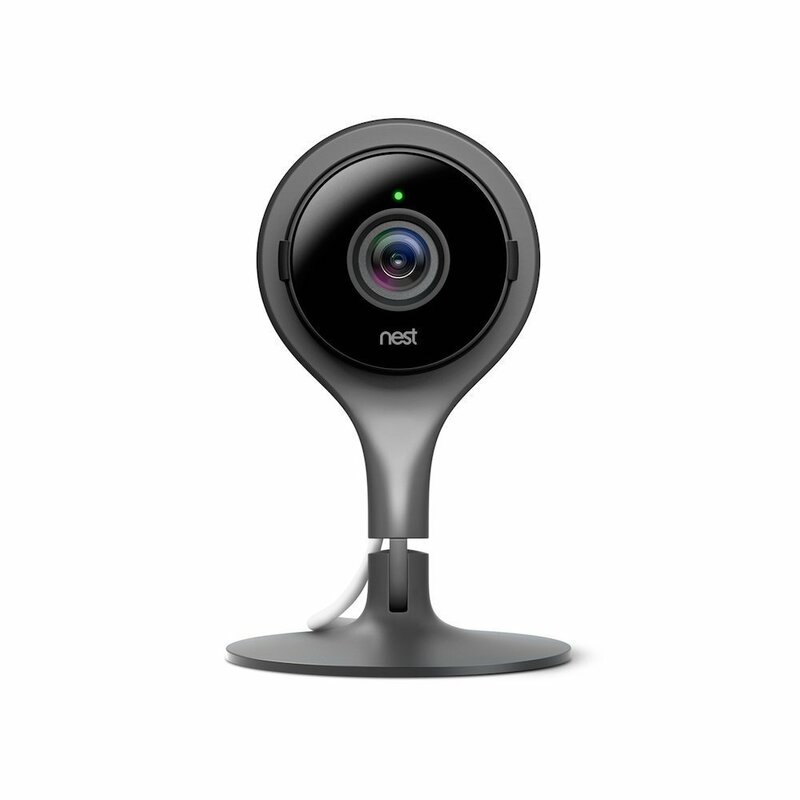 I only like the Nest cam because it can be shut off remotely. So for example you could keep it turned off and only turn it on (from your mobile phone or tablet) when you want to check in on your baby. For example let’s say you can hear your baby crying without the monitor turned on, but every now and then you want to do a physical check to make sure they haven’t rolled over or something. That’s when you could turn the Nest Cam on and then turn it off again. Does that seem like it would be a helpful way to use this camera? I don’t mind removing it from this list if people don’t find that to be helpful! 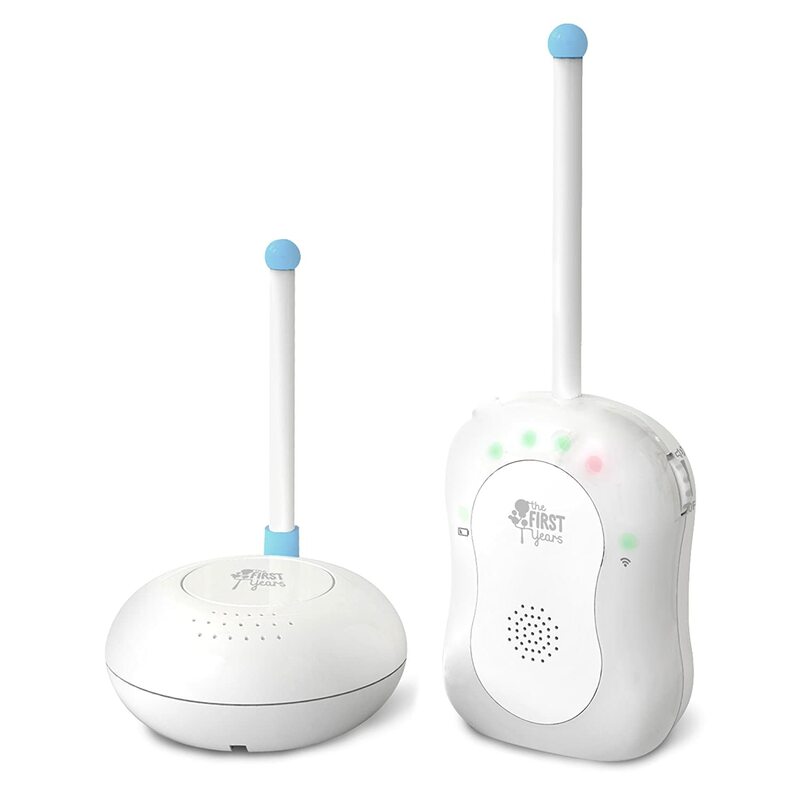 Can you please check about this – Lollipop smart baby monitor. It looks like a wifi based monitor . I sent them an email about what they use DECT or FHSS below is their reply. Can you please look into it and let us know if its a safe option ? Hi Abhiram, many wifi cameras are susceptible to being hacked. In addition, this is still using a digital signal so it would be stronger than an analog monitor. Personally, I would choose a different monitor. But if you are still interested, I’d be happy to get in touch with the company and see how (if) they protect your video stream from hacking. Thanks a lot for your prompt response. I would greatly appreciate if you can check with them. Just wondering if you had a chance to check on this monitor. Thanks! Hi! I never heard back.